Huawei latest contribution to the fitness tracker market, the Band 2 Pro, is now available to buy here in good ol' Blighty. The waterproof, GPS ready and heart rate tracking wristband offers tons of features for an affordable price. 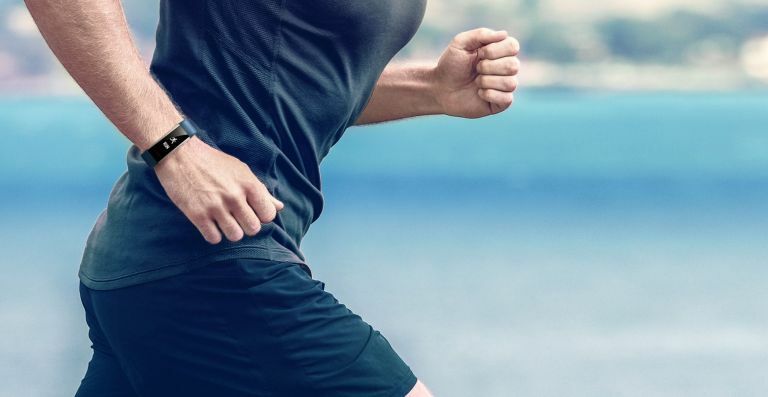 With a built-in GPS, the Huawei Band 2 Pro allows you to get even more precise data about how far you've run, with GPS-enabled speed, movement and distance tracking. The Huawei Band 2 Pro pairs with any Android phone to ensure you never miss a beat. Retailing at just £79.99, the Huawei Band 2 Pro is available to order today direct from Amazon UK. Gigabyte has just unveiled the latest addition to the Aero 15 black gaming laptop range with the new Aero 15 X. This 1.9cm thick powerhouse features the latest graphics tech from Nvidia, which has somehow fitted into a frame with near-borderless 5mm bezels. The Aero 15 X boasts a powerful Nvidia GeForce GTX 1070 with 8G GDDR5, and a 7th Gen Intel Core i7-7700HQ CPU (paired with dual-channel DDR4-2400 RAM, of course). Storage is courtesy of dual M.2 PCIe x4 SSDs, enabling blazing transfer speeds and instantaneous response times. Thunderbolt™ 3 with transfer speeds up to 40Gbps also makes an appearance in the shape of a USB Type-C connector with 5V/3A output. You can order your very one Gigabyte Aero 15 X today from Scan for only £2,199.98. South Korean electronics giant LG has announced that 87 of its Wi-Fi connected LG smart home appliances - including washing machines and dryers, refrigerators, ovens, dishwashers, vacuums, air purifiers and more - are now compatible with the Google Assistant on Google Home, eligible Android phones and iOS smartphones. Setup is simple and convenient with the free LG SmartThinQ app (available from the App Store and Google Play), available for Android or iOS. With just one app, users will be able to control the entire lineup of LG smart appliances. Whether it’s preheating the oven on the way home from work or checking the remaining laundry time while at the gym, controlling your smart devices just got even easier. Lifx, maker of some of the brightest color Wi-Fi enabled smart lights on the market, has just announced Apple HomeKit support for existing Lifx and Lifx+ products. Starting today, you can control your Lifx lights with your voice through the Apple Home app or via Siri on their iPhone, iPad, iPod touch, Apple TV, and Apple Watch. With the Home App and compatible Apple TV or iPad, you can automate your HomeKit enabled accessories to all be controlled from the same interface.